A neighborhood defined by it’s classic charm and vibrant energy, the streets of Soho are lined with boutiques of some of the world’s most famous designers and fashion houses. 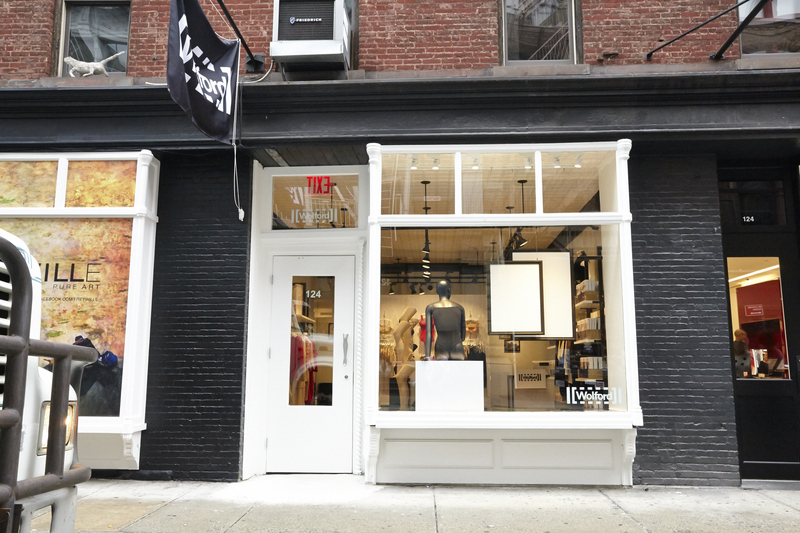 Nestled in the middle of all of the bustling action is Wolford’s new Manhattan location at 124 Prince Street. In keeping with Soho’s classic, recognizable style, Wolford has kept the space’s tin ceiling, moulding and wood floors (the space was previously occupied by the famous Morrison Hotel Gallery). The boutique’s fixtures are unique to Wolford; by using a special metal, black coating on the fixtures, the brand celebrates Soho’s reputation for being the “cast-iron district.” Additionally, Soho is renowned for being home to some of New York’s finest artists and galleries, and Wolford has created it’s own “gallery of legs” on display in the center of the space. An open layout allows loyal Wolford customers and passersby visiting from all over the world to easily experience the product, feel the luxurious fabrics, and engage with the welcoming staff.